Hello All! Every once in a while a sketch calls out my name. I know that sounds corny, but it's the truth (no pun intended). 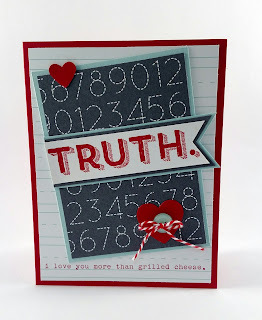 When I saw today's Sweet Sunday Sketch, I immediately thought of Stampin' Up's new designer series paper called "Schoolhouse" and the stamp set "Words of Truth". Although a little difficult to see, I used Pool Party and Real Red to brighten up the Basic Grey printed paper. I added a few hearts, a pool party button, and red twine. 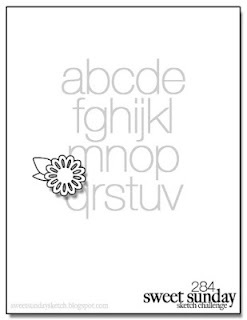 What I like best are all the little sayings that come with this set. 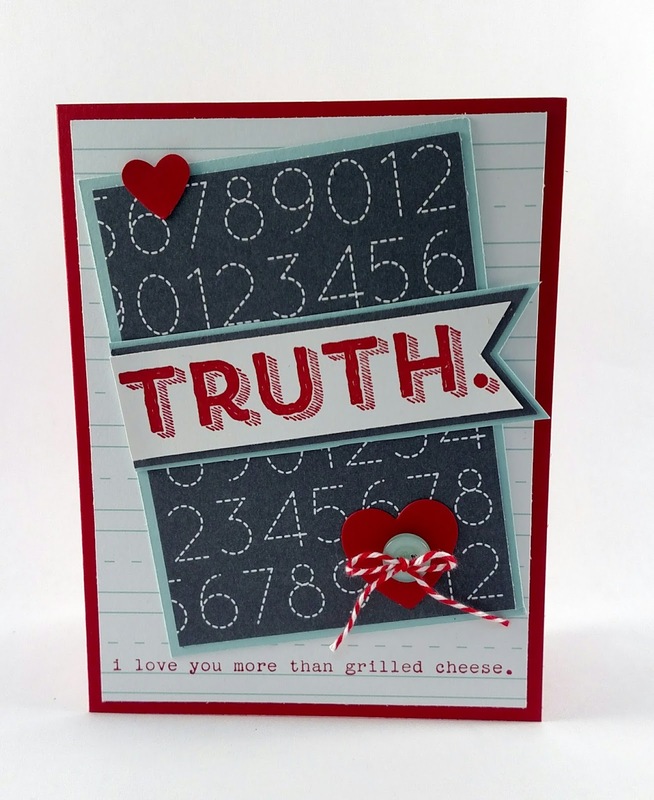 I chose "I love you more than grilled cheese", which is our grandsons' most favorite food. After all, who doesn't love a grilled cheese? Stay tuned for tomorrow's Mojo Monday and upcoming calendar events. Another stunning card in true Sandy Style! Super cute, love that BG paper you used! Thanks for joining us this week at SSSC!!!! !